Get started with Pay-per-Click (PPC) Advertising training from Intellipaat and learn how to earn a higher ranking in Paid and Organic Search Engines! Search Engine Marketing involves promoting your brand’s presence through paid advertising via search engines. 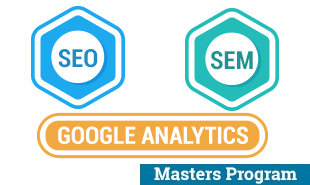 This Search Engine Marketing certification training course includes detailed study of PPC, Google AdWords, building paid advertising campaigns, tracking, optimizing and remarketing. You will gain hands-on experience through live projects to understand the requirements of the industry. Digital Marketing Professionals, Advertising, Analytics and Project Managers, Entrepreneurs and Business Personnel. What are the prerequisites for taking up this SEM training? There are no prerequisites for taking up this training. Why should you take up this training? In today’s digitally-driven economy, it is important for each and every organization to have a digital presence. Google AdWords is the biggest ad platform on the Internet in order to reach out to your target audience. Most of the organizations are already on the Google AdWords platform and a lot of organizations will get on this bandwagon soon. All this creates huge opportunities for professionals who are having the right training in PPC and have earned the Google AdWords Certification. 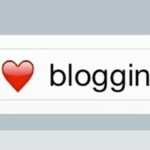 This training will prepare to take up top jobs in the Search Engine Marketing domain. 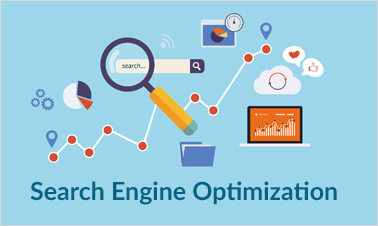 Importance of search engine marketing to get the visibility and customers on the internet, the benefits of online advertising compared to other forms of advertising, advertising on Google, Bing, Yahoo and other search engines, networks and websites. Introduction to keywords, choosing the right keywords based on the business angle and what customers search on search engine, the various types of keyword matches and the significance of each keyword match type. What is Google AdWords, how Google AdWords works, the various sections of AdWords and best practices defined by Google, Bidding Strategy (CPC), Types of Bidding Strategy, Manual, Auto, Strategies for Advanced Level Bidding, Enhanced CPC, CPA, Flexible Bid Strategy, Advantages and disadvantages of Bid strategies. The Pay Per Click ad campaign, how PPC works, creating a new ad campaign, choosing the language, location and understanding the Google bidding process for PPC ads, various stages of ad campaigns, deploying split test in ads, AdGroups, Keywords, Ads, etc. Introduction to various Google ad networks, Google Display network, advertising campaign types- Display, Search., Shopping and Video, comparison between Search and Display Campaign, deploying video ad campaigns, callout extensions and other special features of Google ads, understanding of how AdWords rank Ads?, Detailed description of AdWords Algorithm(Adrank), Quality score, Importance of Quality Score, CTR, Importance of CTR, Bids, Ad-extensions and its Types, Add Ad-extensions in Campaign, AdGroups Creation using tool. Various aspects of targeted ad campaign, targeted placement, targeting the audience, demographics, creating dynamic ads with data feeds, Google sponsored promotion, understanding the audience list and having the right targeted approach. Display Campaigns – All features and Mobile App, Increasing engagement through Remarketing, Comparison between Display and Search Campaign Settings, Performing campaign settings, Google Ad Scheduling, Google Ad Delivery, Placement of Ads, Creating various AdGroups, Using display planner tool, Finding relevant websites for ads placement, Creating text ads, Creating banner ads using tools, Uploading banner ads, Examples of good/bad banner ads display campaign. Introduction to Google AdWords Express, how it differs from Google AdWords, the various features and advantages of AdWords Express, ensuring minimal management, getting the right performance of ads. 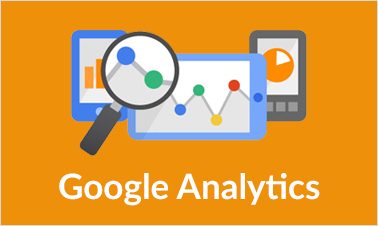 Extracting the right reports with Google AdWords, key performance indicators, reporting segments, dimension tab and other useful reports in Google AdWords. This Search Engine Marketing training is designed for clearing the Google AdWords Certification. The entire course content is in line with the certification program and helps you clear the certification exam with ease and get the best jobs in top MNCs. SEM online training contents of this course are quite interesting to learn, and I am lucky enough to choose this course. I loved it, friends… You should also try this one. As we know, it is the need of any organization to promote itself, the best practices of which I could learn from this course. Intellipaat had done a great job with Google AdWords Training, and the trainer was much perfect in his job. I learned a lot in this PPC training course. Why should I learn Search Engine Marketing from Intellipaat? 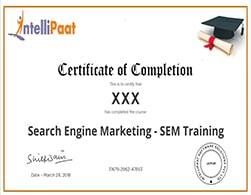 This Intellipaat Search Engine Marketing training provides you training in creating and managing paid advertisements, learning Google AdWords, developing advertising campaigns and tracking, optimizing and monetizing using industry best practices. This entire course content is in line with the requirements of clearing the Google AdWords Certification. 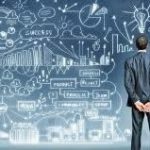 You will be working on real-time Search Engine Marketing projects and step-by-step assignments that have high relevance in the corporate world, and the course curriculum is designed by industry experts. Upon the completion of the training course, you can apply for some of the best jobs in top MNCs around the world at top salaries. Intellipaat offers lifetime access to videos, course materials, 24/7 support and course material upgrading to the latest version at no extra fee. Hence, it is clearly a one-time investment. Sign Up or Login to view the Free Search Engine Marketing (SEM) Training course.